Windows 10 is very different Is It Time to Upgrade to Windows 10, Yet? Is It Time to Upgrade to Windows 10, Yet? Microsoft really wants to you upgrade to Windows 10. But should you? To help you make up your mind, we argue both the pro and the contra, and offer careful advice. How will you decide? 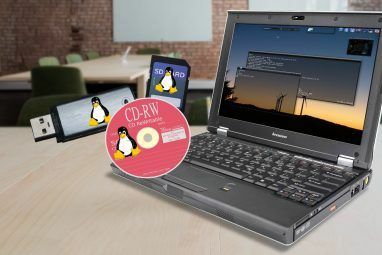 Read More from previous Windows versions. If you have used Windows 8 or Windows Phone, you will recognize commonalities, but Microsoft has been changing options and adding features. Here, we point out default settings you will want to customize right away. Note that if you upgraded from Windows 10 RTM (Threshold) to Version 1511, we have a separate piece that covers all the settings to check after the Fall Update 5 Settings You Must Check After Windows 10 Fall Update 5 Settings You Must Check After Windows 10 Fall Update With every upgrade, Windows 10 introduces new options, changes user settings, and pushes its default apps. We show you how to revert the changes from the November Upgrade back to your own preferences. Read More . The article addresses privacy and printer settings we won’t duplicate here. Whether you have a new Windows 10 computer or upgraded from Windows 7 or 8.1 6 Common Windows Upgrade Issues & How to Fix Them 6 Common Windows Upgrade Issues & How to Fix Them Upgrading Windows 10 can cause a number of complications. We show you what to watch out for and how to prevent or fix issues. Read More , the following tips will help you navigate the new operating system and eliminate common annoyances. Everything starts with the Windows 10 Settings app How to Control Windows 10: The Settings Guide How to Control Windows 10: The Settings Guide The Windows control panel is on its way out. Its replacement, the Settings app, has received a significant upgrade in Windows 10. We'll reveal all its secrets for you. Read More . You can find it in the Start Menu, when you press the Windows key and type “Settings”, or by clicking the keyboard shortcut Windows + I. Windows 10 syncs your settings to the cloud, automatically shares your Wi-Fi password, collects data for targeted ads, while Cortana observes your every move to be more helpful. If you are mostly concerned about personalized ads and recommendations, read our piece on removing ads and not safe for work content from Windows 10 How to Ban Windows 10 Ads & NSFW Content from Your Desktop How to Ban Windows 10 Ads & NSFW Content from Your Desktop Windows 10 may be crossing a line with desktop ads and NSFW content. Microsoft and third-party developers can push promotional material directly onto your desktop. We show you how you can defend yourself. Read More . Briefly, you can turn off irritating live tiles in the Start Menu, disable suggested apps under Settings > Personalization > Start, turn off Action Center notifications under Settings > System > Notifications & actions, disable Cortana How to Set Up Cortana & Remove Her in Windows 10 How to Set Up Cortana & Remove Her in Windows 10 Cortana is Microsoft's greatest productivity tool since Office. We'll show you how to get started with Windows 10's digital assistant or how to turn Cortana off for improved privacy. Read More under Cortana > Notebook > Settings, and opt out of personalized ads under Settings > Privacy > General. Dan Price has summarized additional Windows 10 privacy issues Everything You Need to Know About Windows 10's Privacy Issues Everything You Need to Know About Windows 10's Privacy Issues While Windows 10 has some issues that users need to be aware of, many claims have been blown out of proportion. Here's our guide to everything you need to know about Windows 10's privacy issues. Read More and how to fix them. Briefly, you can turn off syncing via Settings > Accounts > Sync your settings, opt into sharing your Wi-Fi key (off by default!) under Settings > Network & Internet > Wi-Fi > Manage Wi-Fi settings, and block apps from using your advertising ID under Settings > Privacy > General. Forced updates Pros & Cons of Forced Updates in Windows 10 Pros & Cons of Forced Updates in Windows 10 Updates will change in Windows 10. Right now you can pick and choose. Windows 10, however, will force updates onto you. It has advantages, like improved security, but it can also go wrong. What's more... Read More is probably the most drastic change introduced with Windows 10. Unsuspecting Home users test drive new Windows features Windows 10 Upgrade - Free Doesn't Mean It Won't Cost Anything Windows 10 Upgrade - Free Doesn't Mean It Won't Cost Anything There's a catch to the free Windows 10 upgrade. Microsoft understands its audience all too well; they are more likely to pay for the freedom of control, rather than for extra features. Read More , before these are deployed to Professional and Enterprise users. Consequently, Windows Update is almost unrecognizable. We explain how you can control updates and save bandwidth. Head to Settings > Update & security > Windows Update > Advanced options to manage your Windows Update settings How to Manage Windows Update in Windows 10 How to Manage Windows Update in Windows 10 For control freaks, Windows Update is a nightmare. It works in the background, and keeps your system safe and running smoothly. We show you how it works and what you can customize. Read More . First, choose how updates are installed. Once updates need to be installed, Windows will estimate what might be a good time for a restart. When you go with Notify to schedule restart, Windows 10 will also let you choose a time manually. If you are on Windows 10 Professional, you can Defer upgrades. Do this to delay the installation of new features for several months. Security updates won’t be affected. 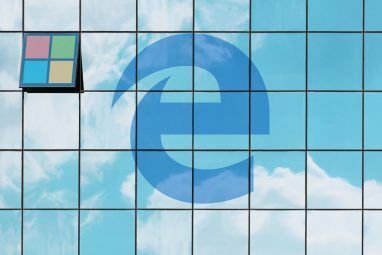 If you are an unfortunate Home user, you can upgrade to Windows 10 Professional How to Upgrade from Windows 10 Home to Professional Edition How to Upgrade from Windows 10 Home to Professional Edition Windows 10 Home users are missing several subtle features. Pro users, for example, can temporarily defer Windows updates. We show you how you can upgrade to the Pro edition to regain some control over Windows... Read More in several different ways and maybe this free key from Microsoft Microsoft Just Released a Free Key for Windows 10 Pro Microsoft Just Released a Free Key for Windows 10 Pro A free product key for Windows 10 Pro is floating around, but what does it mean and how can you take advantage of it? Read More will work for you. Note that if you opt into receiving updates for other Microsoft products, you could inadvertently permit Windows to upgrade Office How to Downgrade from Office 2016 to Office 2013 & Block the Upgrade How to Downgrade from Office 2016 to Office 2013 & Block the Upgrade You don't want to upgrade to Microsoft Office 2016 or you were upgraded automatically? We show you how you can downgrade or stay with Microsoft Office 2013, whether you're a home or business user. Read More , Windows Media Player, or other Microsoft software. Next, click Choose how updates are delivered to make sure Windows Update won’t steal any of your bandwidth. We recommend turning this feature Off, unless you have multiple Windows 10 PCs on your local network. In that case, you could save bandwidth by letting Windows 10 share downloaded updates locally. Finally, to prevent Windows Update from stealing your bandwidth while you’re on a metered connection, go to Settings > Network & Internet > Wi-Fi, make sure you’re connected to your preferred network (no network cable plugged in), then click Advanced options. Here you can identify the respective network as a metered connection, regardless of whether it’s a regular Wi-Fi or a tethered connection. This last setting also is a sneaky way to temporarily disable Windows Update; at least until you plug in the Ethernet cable again. If you ever run into issues with Windows Update, know that you can uninstall driver updates Take Back Control Over Driver Updates in Windows 10 Take Back Control Over Driver Updates in Windows 10 A bad Windows driver can ruin your day. In Windows 10, Windows Update automatically updates hardware drivers. If you suffer the consequences, let us show you how to roll back your driver and block future... Read More . What Microsoft thinks is best for you and your PC doesn’t necessarily align with your preferences. Fortunately, you can customize most default apps and settings in Windows 10 How to Change Default Apps and Settings in Windows 10 How to Change Default Apps and Settings in Windows 10 Here's how to change default programs in Windows 10 if you're not happy with how the OS behaves out of the box. Read More . This means that you can sign in without a Microsoft account, switch around default apps under Settings > System > Default apps, change AutoPlay under Settings > Devices > AutoPlay, and replace Bing with Google Search. The Windows 10 Taskbar 7 Tips for Customizing the Windows 10 Taskbar 7 Tips for Customizing the Windows 10 Taskbar The taskbar remains a staple feature in Windows 10. It's been given a fresh look and new features, including Cortana. We show you all the tweaks to make the taskbar your own. Read More is home to many distractions, but the notification area to the far right is the worst offender. Head to Settings > System > Notifications & actions to select the general notifications you wish to see, as well as the apps that are permitted to show notifications. Click on individual apps to further customize the types of notifications permitted, including sounds and banners. Note that you can add or remove items like the clock or the Action Center from the notification area — formerly known as system tray — if you click Turn system icons on or off at the top. Windows 10 comes pre-installed with a range of universal apps, including OneNote, Skype, and Candy Crush. Some are useful, others are just wasting space. Fortunately, you can remove Windows 10 bloatware How to Easily Remove Bloatware From Windows 10 How to Easily Remove Bloatware From Windows 10 Windows 10 comes with its own set of pre-installed apps. Let's look at the methods you can use to remove the bloatware on your PC. 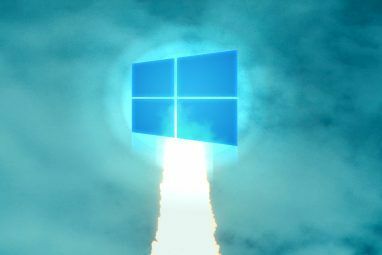 Read More using PowerShell commands 3 Clever PowerShell Functions After Upgrading to Windows 10 3 Clever PowerShell Functions After Upgrading to Windows 10 Windows 10 brings us a new PowerShell, essentially Command Prompt on steroids. This article shows you how to do the otherwise impossible with PowerShell. And it's easier than you think! Read More . Universal apps are updated independently from Windows Update. Open the Windows Store app and head to Settings under your profile. Here, you can toggle Update apps automatically; the default is On. Note that under Live Tile, you can also toggle Show products on tile, which refers to app recommendations shown on the Windows Store live tile in your Start Menu. Did You Upgrade from Windows 7 or 8.1? If you upgraded to Windows 10, you should check two more things. 6. Is Windows 10 Properly Activated? 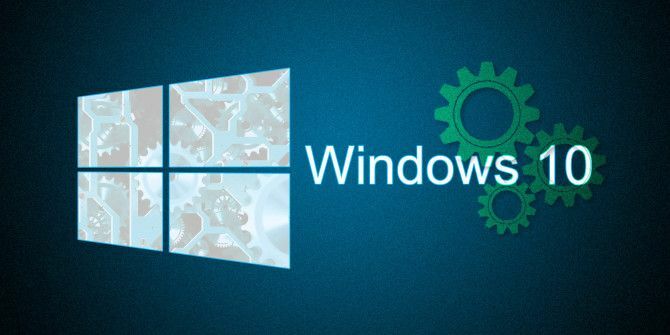 You either upgraded directly from an older Windows version or you installed Windows 10 manually, using installation media created with the Windwos 10 Media Creation tool and an eligible Windows 7, 8, or 8.1 product key. In both cases, Windows 10 should activate automatically. To be sure whether activation was successful, go to System > Update & security > Activation. If your system didn’t activate or if you get an error code when entering an eligible Windows product key, consult our Windows 10 Activation & Licensing FAQ The Ultimate Windows 10 Activation & License FAQ The Ultimate Windows 10 Activation & License FAQ One of the big confusions surrounding Windows 10 concerns its licensing and activation. This FAQ will shed some light, explain what has changed with Windows 10 version 1511 (Fall Update), and translate activation-related error codes. Read More . As mentioned under point 2 above, you can upgrade from Windows 10 Home to Professional. This is done by entering a product key right here. 7. Are All Your Applications Still There? With every upgrade, Windows 10 can auto-remove software against your will Windows 10 Can Auto-Remove Software Against Your Will Windows 10 Can Auto-Remove Software Against Your Will Windows 10 is uninstalling software it doesn't consider compatible. Have you been affected? We show you which applications you could lose and why. Read More . During the November Upgrade, this affected several security applications, Foxit Reader, CPU-Z, among others. Unfortunately, there’s not much you can do to prevent this. We just want you to be aware of this circumstance, so that you can check whether all your tools are still there, and reinstall them in case they were removed. Microsoft has made some questionable decisions when picking Windows 10 default settings. Once those grave choices are corrected, you can dive into customizing Windows 10 even more deeply. update your security software The 8 Best Security Software for Windows 10 Malware Protection The 8 Best Security Software for Windows 10 Malware Protection Want to tighten security on your PC? It's a good idea, so take a look at these fantastic antivirus choices for Windows 10. Read More . In Windows 10, maintenance hasn’t become any less complex Windows 10 Maintenance: What Has Changed & What You Need to Consider Windows 10 Maintenance: What Has Changed & What You Need to Consider In Windows 10, Microsoft seriously overhauled maintenance features. Especially Windows Update is causing some headache. We provide you with an overview of new settings and show you which third party tools you still need. Read More , but the interface is arguably more pleasant. What were the first steps you took after first running Windows 10? Which changes were most challenging for you? And which new features do you appreciate most? Share with us in the comments! All these comments are spot on- doesn't anyone edit/proof Gavin Phillips articles? Doesn't anyone look at these comments for feedback? A real multifaceted fail here. Subs, which article by Gavin Philips are you referring to? You posted your comment under my article (Tina Sieber). I can reassure you, however, that all articles are edited. I edit many of Gavin's articles (though I'm not sure I edited the one you're referring to). But why would you want to stop UWP from auto-updating ? Downloading updates consumes internet bandwidth, running an update consumes system resources, and updates can introduce other issues. You should update UWP (and other) apps, but you should also be in control when exactly that happens, rather than have an algorithm decide to update automatically and do it at an inopportune time for you personally. Great article, great advice. I plan to share it with everyone I know, with the hope that they will have a better experience with Windows 10 when they're eventually forced to migrate to it. In general, I like the interface, and even the intent of some of the functionality (simplify things by linking them together). I like the search functionality. I like the start menu and that I can customize the tiles. I like what I see in the future for Edge; it's more like Chrome, though not as robust yet. The lack of control ties into my first Windows 10 steps taken as it was running through the initial set up. I learned the hard way that simple innocuous questions your prompted with during set up have deep consequences. Like "What would you like your user name to be? Don't worry, you can change this later if you want to." or "Skip this step for now." Your user name gets tied to everything, including the file structure and thus naming convention of things. Even if you change the user name later on, it only changes "on the surface" so to speak. And that user name you didn't want & that's now buried under the surface, it shows up all over, in the weirdest places and always when you don't have time to fix it. I added 200+ feedback comments in an Adobe PDF file only later to see they were all marked as being added by "Teresa" - not my name! Co-workers asking me "who's Teresa?" or "where's that file?....oh it's in the Teresa/abc/xyz folder." Whoever got a bonus for that idea, well....brilliant, just brilliant. After a bit of google time I found the solution for this too. Again though, if I'm paying for something, should I get to decide how to work with it? I know, pretty radical huh? Thank you for your comment, Teresa. Just kidding, Jan! :) You're right, Microsoft is not really being user friendly with many of these decisions. It's almost as if they imitated everything that Apple did wrong, i.e. making decisions for people like they're kids that can't be trusted to cross over boundaries. According to Microsoft we are no kids but stupid users. If you've upgraded to Windows 10, your hard drive may still contain the previous installation under C:\Windows.old. If you're happy and don't want to ever go back, right-click the C: drive in File Explorer and do a Disk Cleanup. Click on Clean Up System Files and check everything that you want to remove, including Previous Windows Installation. That should give you back some precious gigabytes of free space. Just keep in mind that when you delete Windows.old, you won't be able to downgrade to the previous Windows version, whether that was 7, 8.1, or an earlier iteration of 10.
windows 10 wont allow me to open my pictures saying I need to download windows 11. Javes cant down load. what do I do I just downloaded 10? My other Windoze 10 Pro install is in a VMWare ESXi server, and I have a WSUS Server that the Windoze 10 points to so MickySoft can't trash it with unwanted updates :-) Gonna have to unapprove all the latest updates on WSUS till I work this out on the VIrtualBox VM. Here's another posting on disabling Windows 10 nasties from a commenter on Bruce Schneier's blog. I haven't tried it. He recommends downloading a copy of Ubuntu for editing purposes, but I wonder if starting in Safe Mode might do just as well? Removing any unwanted apps is as simple as right click - uninstall. No need for powershell unless you are just hell-bent on removing the entire store or something. I have no issues with the store (or Cortana for that matter). My first steps after first running Windows 10 (or installing on another machine). 1. Completely remove the Cortana virus. If you just turn it off, it still runs in the background. Find it's folder in C:\Windows\System Apps, take ownership if necessary, and rename or delete it. 2. Disable Windows update service in the services console. I turn it back on at the end of my data cycle if there is enough bandwidth left to allow an update to occur. If not, better luck next month Microsoft. 3. Install Spybot Anti-Beacon and/or DoNotSpy10 to cut down on the telemetry going back to MS. Once again, this is a bandwidth control step, not necessarily an anti-telemetry step. 4. Uninstall the uninstallable Metro crapware. I've written a powershell script to get rid of the ones I don't use so I can do it with just a few mouse clicks. Those are the big ones for me. Odd that the article mentions that disabling Cortana can improve privacy, but then instructs (with no reasoning given) to change the Bing to Google in the default auto play settings, which is a step backwards. No Google ever again for me. The article is primarily about managing personal preferences and privacy is one possible part of that. Many people prefer Google over Bing. Others prefer their privacy above all.